When creating your food menu, you probably don't have food allergies at the front of your mind. Instead, you are probably focusing on food trends and what other venues near you are succeeding with. But, food allergies are prevalent and some can be life threatening which means that customers expect your menu to be able to be tailored to their dietary needs. Perhaps someone comes in allergic to eggs, this simple ingredient may be used in 90% of your menu so you and your staff need to be aware of what ingredients feature where and whether the dish can be tailored to meet dietary requirements. It's not an easy task, especially when your menu changes with seasonal fruit and vegetables. But, don't worry, founder and president of CertiStar™, Shandee Chernow, will help you understand important information about food allergies that will help you keep your customers safe. Shandee has worked for a variety of companies including MicroStrategy, Hortonworks, and Tableau Software. But, at the age of 28 she found out she had a food allergy. Since then Shandee founded CertiStar™ to help revolutionize the culinary landscape and help restaurants cater to the needs of those who suffer from food allergies. 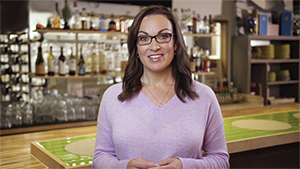 In this course, she will help you learn important information about food allergies that will help you keep your customers safe. With Shandee's advice, you'll be serving up dishes to any customer without fear in no time. With the health and wellbeing of your customers and your own business and reputation to look after, food safety and hygiene must become the top priority in your kitchen. Get more information about food safety in our Food safety and hygiene course.